This month, Shiseido is adding seven new shades of their Lacquer Rouges to the existing 18 shade lineup, making for a rather impressive selection of colors. 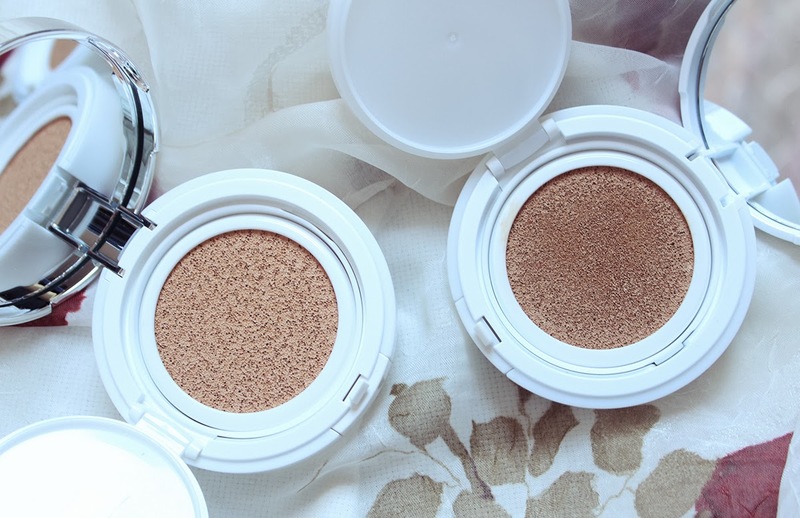 I received three of the new shades during the Spring Preview Event which was very exciting since I had my eyes on these since their release. Who wouldn't want a gloss that claims to have the rich pigment of a lipstick combined with a long lasting shine of a gloss? The lacquer rouges are meant to be a quick fix for busy people and one coat yields high color payoff. This is definitely true as you can see from the swatches above. The finish is very glossy and vinyl-like. 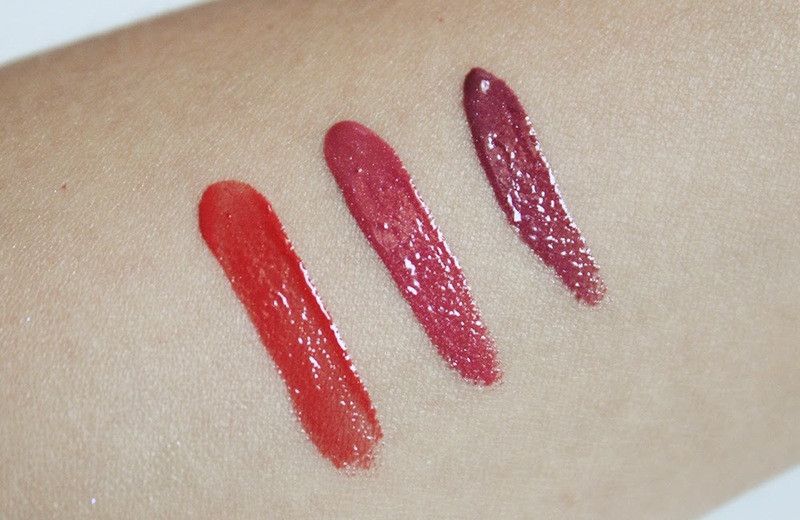 Each of these colors has a tiny hint of shimmer in them but it's virtually nonexistent once applied on the lips. There is noticeable scent to this product either which is nice. Applying this lacquer is not the easiest because it is quite a thick formula. I prefer to wipe off some of the product from the applicator onto the inside of the tube and slowly build up layers of color to prevent depositing too much color in one area. 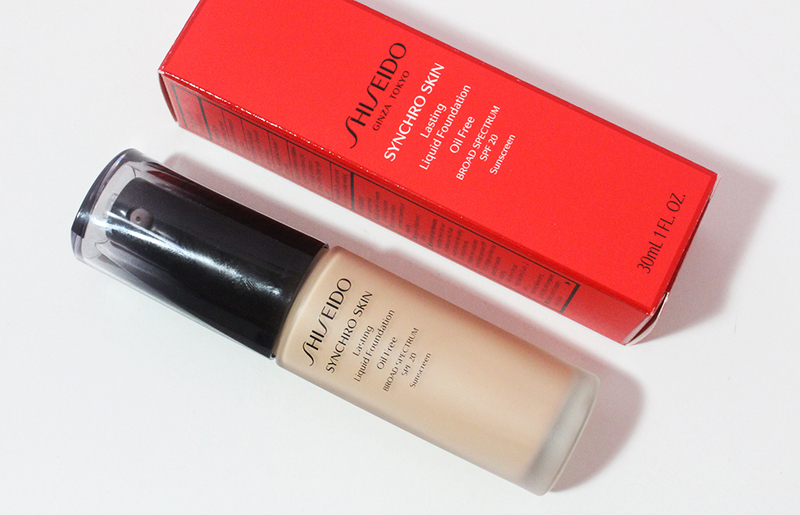 Pomodoro is my favorite of the three because it is a classic neutral red that looks very glamorous with minimal eye makeup. I applied the sheerest layer on my lips but you can definitely build this up a bit to get more full coverage. Ebi is a very spring shade and is a wearable bright pinkish red. 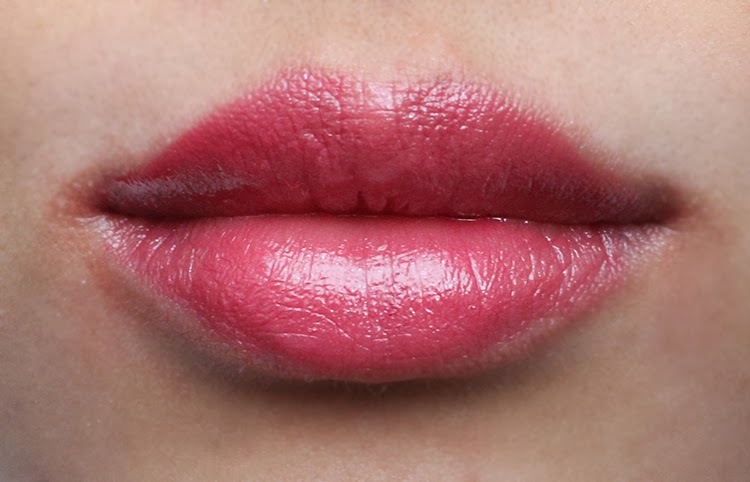 This is a nice shade for those who want to branch out of neutral shades and add some color to their lips. Hellebore was honestly the hardest color for me to wear. It is a dark brownish purple and it honestly looks quite bad on me. It has the same pigmented and glossy formula but the color was just more difficult to pull off for me. 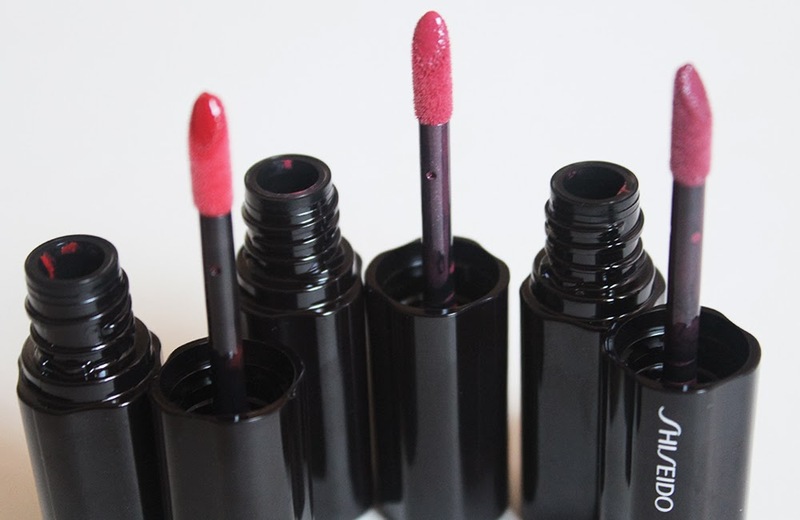 If you like purple toned lips, you might like this shade. 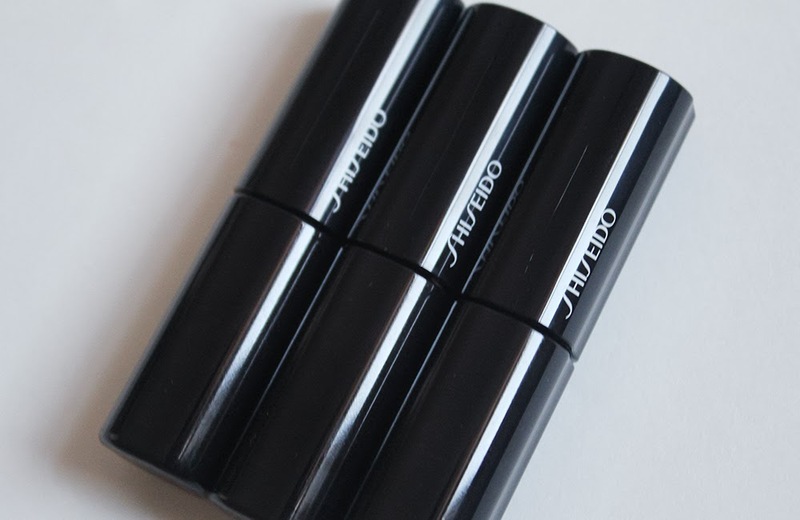 Shiseido claims that the lacquer rouges are supposed to improve dry lips because they contain Super Hydro-Wrap Vitalizing DE which "actively pushes moisture into lips and effectively retains it for hours." While I didn't wear solely these glosses for days or weeks at a time, I did find them to be comfortable and non-drying. I don't feel the need to wear lipbalm before applying these and don't experience lip peeling after these wear down. These last about three to four hours before they need to be reapplied and I had no issues applying additional layers. 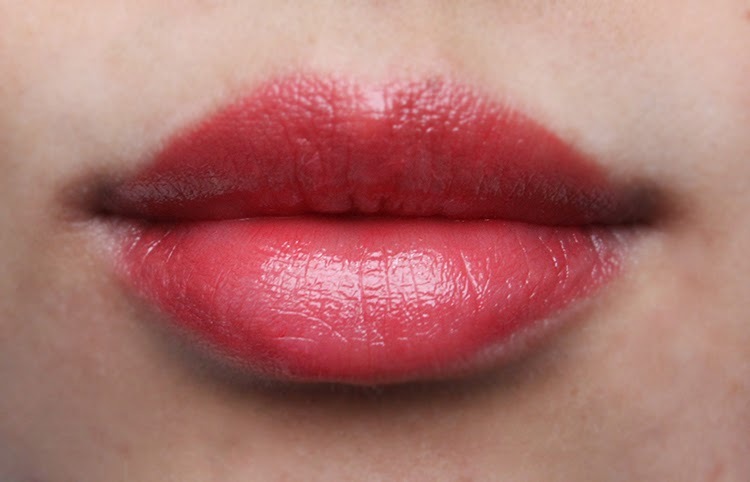 If you have very dry or flaky lips, you probably would want to exfoliate and moisturize as a precaution but for normal lips, you're good to go.